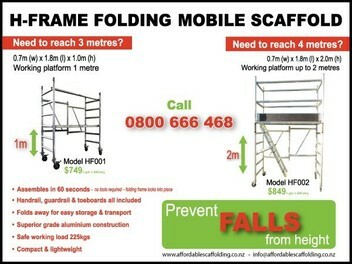 Affordable Scaffoldin­g (2010) Ltd is a private New Zealand owned company. We quote to HIRE and quote to SELL our quality equipment with competitiv­e affordable pricing. *Assembles in 60 seconds - no tools required - folding frame locks into place. Delivery cost depends on location.